dance.net - Elegant Doire Design Dress (Shauna Shiels) $1850 (10244881) - Read article: Ballet, Jazz, Modern, Hip Hop, Tap, Irish, Disco, Twirling, Cheer: Photos, Chat, Games, Jobs, Events! Specific measurements will be provided upon request. 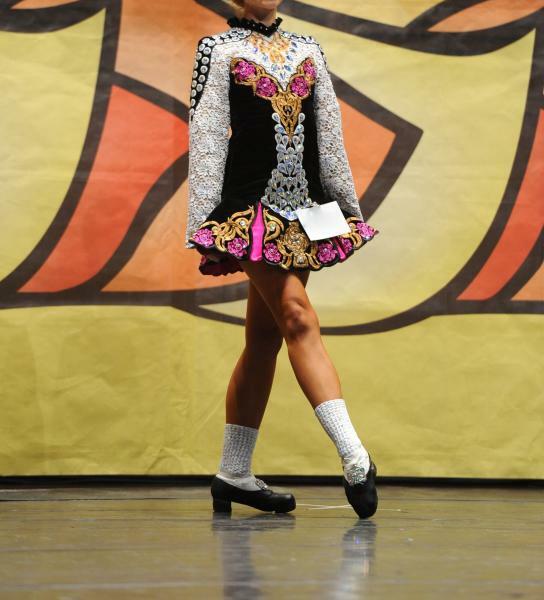 Dress was worn by a tall, lean u14/u15 Championship dancer. The intricate details and bold fuchsia make this dress really stand out on stage. The sleeves are a beautiful white lace overlay. This dress has received many compliments. Please do not hesitate to contact me for more information/measurements!